Over the past few months, there’s been one name coming up repeatedly throughout different conversations. Her name is Lady Gaga. When we hear her name we traditionally think of her well-established music career and her outrageous fashion choices. 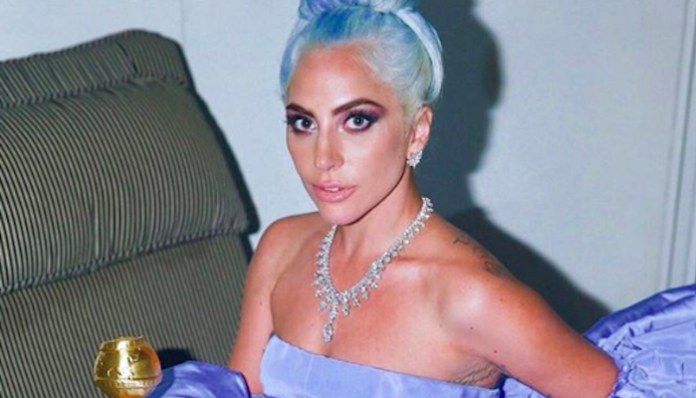 However, the conversation surrounding Lady Gaga has drastically changed since her starring role in the Oscar-nominated film, “A Star Is Born”. While it wasn’t our first time seeing her act, as she has been in a few TV shows, there was just something about her in this movie that really launched this part of her career. Because of this role, a star was truly born. This award season, in particular, her name has been circulated a lot. She has earned more nominations to even count and it was the first time in a long time that audiences have been captivated by a woman’s performance in such a way. In a “Star Is Born” she portrayed a hard-working, insecure songbird. We see the timid girl transform into a strong and confident woman who achieved her goals and stays true and loyal to the man she loved. She became oddly relatable to women around the world because this role provided us an opportunity to believe in her character. The performance of this character was able to change a lot of viewers opinions of her while proving herself as an artist and a genuine human being. With each interview and acceptance speech, the more we see that she really related to her character herself and made this role about her own personal experience which helped earn such praise. Outside of her personable and powerful performance in the film, we started to see a new side of her as well during the promotional tour. She was so grateful for the opportunity and continued to show how thankful she was to be given this role of a lifetime. And while her performance has been praised more than anyone from that film, and comparable as much as “Bohemian Rhapsody’s” Rami Malek, she chooses to always focus the limelight to the man who made this all possible for her; Bradley Cooper. She recognizes his hard work and she is openly expressing that he is responsible for her success, and that’s a selfless act I think the world appreciates. Then came her moment to shine at the Venice Film Festival. She appeared out of a limo dressed in her gorgeous pink Valentino Custom gown, where she announced herself as an actress. She looked stunning, she looked elegant, she looked like a poised lady, and she looked like a damn star. She demanded a presence and received the utmost praise that night that kept the ball rolling. It was a moment in history I’m sure we’ll never forget. Her hype continued through every film festival and eventually through award season on each red carpet where she stunned us with her stunning fashion. Gone were the days of her funky unitards, out of this world wigs, and over the top fashion choices. We are presented with a new woman we haven’t quite seen before; herself. Although her talents have always been undeniable, she’s finally getting the recognition she deserves on a world stage from people who weren’t always her fans. She herself has won 10 nominations for the film as best leading female in a motion picture and best motion picture. That doesn’t even include the other nominations for the music behind the film. She deserves every ounce of recognition she has earned and more for her contributions to the film and for her transformative role. I’m glad to see people are starting to pay attention to her words and the messages behind everything she says or does. Whether she walks away with a statuette or two at the 91st Academy Awards or not, she will be remembered for her fantastic performance in this role and for her beautiful transformation. And I hope to see her success continue because she’s a kind soul who deserves it.